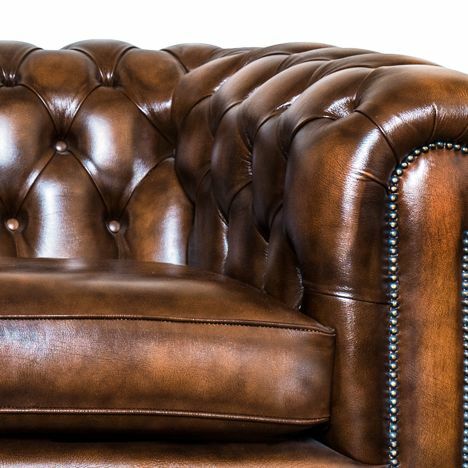 A 4 seater sofa that provides the full authentic chesterfield experience. Built using the same tried and tested methods as a century ago, Our No.1 is as authentic to the original chesterfield as they get. Built here in its 4 seater format, it provides space aplenty for the whole family and its antique tan leather will meld perfectly with any classically inspired decor. Subtle tan shades adorn its the No.1’s firm deep buttoned back and arms and gently roll across the firm but comfortable seating cushions. Timeless design doesnt get any better than this. Our 4 seater variant provides space for all the family. 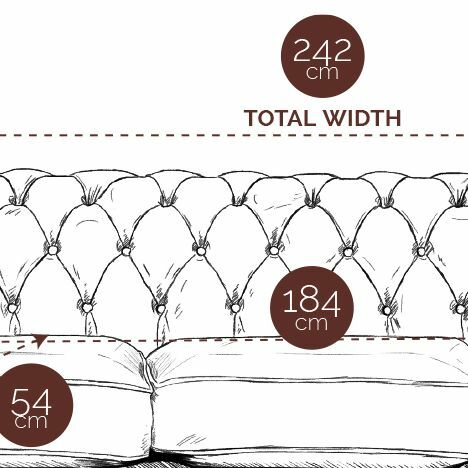 Standard depth cushions made from foam fibre and Dacron provide a more comfortable sit than your usual chesterfield (Although still firmer than our No.2 and No.4 models), and the range of leathers and wools enable you to tailor its look to compliment the rest of your home perfectly.